Looking like he's driving to the basket for a lay-up, the blond boy basketball personalized Christmas ornament will delight your young player with its authentic styling and his name on the front. 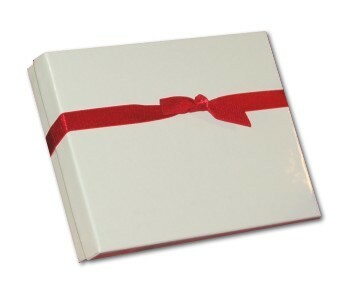 Our lettering artists handwrite or paint his name and the year in a font more handsome than the one shown for clarity. These basketball ornaments personalized as enduring keepsakes arrive ready to display in our good-looking velvet gift and storage bag. One of many personalized basketball player gifts we offer, they come in quite a few different styles and appearances for all the young players on your gift list. 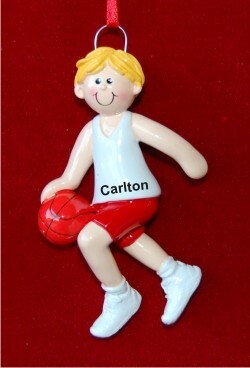 Celebrate his participation and success with the blonde boy basketball player personalized Christmas ornament!